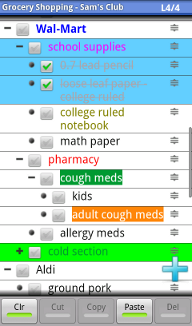 Managing tasks and outlines were never that easy on Android until now! This site is under construction, please be patient, thanks. BETA version is now available on the Android Market. Sync with multiple Google tasks accounts. Use swipe left/right to promote/demote items. 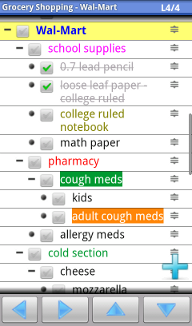 Categorize or tag outlines (TODO). Use numbers for outline notations. Email whole or part of the outlines. Copy and paste whole or part of an outline.